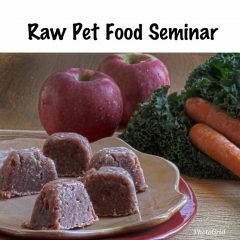 Perfect for making your own pet food for dogs/cats with kidney issues due to low phosphorus content. Simply add any other ingredients, especially eggshell powder for calcium source, plus fruits or vegetables, eggs, etc. Ingredients: Organic Boneless Chicken Thighs with Skin 70%, Organic Chicken Heart (20%), and Organic Chicken Liver (10%). These grinds contain only muscle meat and organs; do not contain bones so you need to add a source of calcium. Especially good for cats/dogs with kidney issues due to low phosphorus. Please add eggshell powder for calcium source as it will help with lowering phosphorus levels in your cat/dog.